Mrs. Adrienne Jones Stewart, 81, passed away, November 7, 2018, at her residence after an illness. Born May 30, 1937 in Dillon, she was a daughter of the late Jim and Thelma Jackson Jones. She was a member of the Clio First Baptist Church. Mrs. Stewart enjoyed spending time with her family and babysitting her grandchildren. She is survived by her son, Robert O’Neal “Bobby” Stewart, Jr. of Clio; daughters, Roberta Ayers of Bennettsville, Lorene Wallace of Clio, and Angela Stewart of Clio; brother, Arthur Jones of Fairfax, VA; sisters, Rachel Jones of Bennettsville and Grace Calhoun of Dillon; grandchildren, Belissa Clark (Coleman), Stewart Wallace, Brittany Alford, Da’Breesha Alford; great grandchildren, Dylan Clark, Hannah Clark, Dedric Jones, Jr., Camille Campbell, Amaya Hailey, Reggie Hailey, Jr.
She was preceded in death by her parents listed above; her husband, Robert O’Neal Stewart; brothers, Legrand Jones and James O’Neal Jones; sisters, Marie Proctor, Lucille Fowler and Shirley Akers. A graveside funeral service will be held at 11:00 a.m. Saturday, November 10, 2018 at McLucas Cemetery. 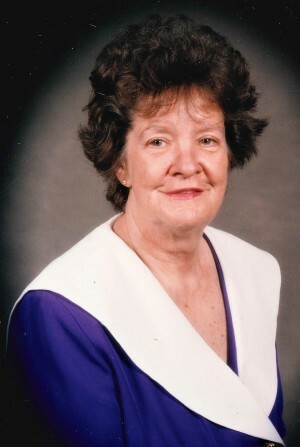 A visitation will be held Friday, November 9, 2018 from 5 until 7 p.m. at the home of Lorene Wallace, 2104 Hwy 9 East, Clio, SC 29525. Memorials may be made to the Clio First Baptist Church, Clio, SC 29525 or the Marlboro Rescue Squad, P.O. Box 123, Bennettsville, SC 29512. Burroughs Funeral Home is honored to assist the Stewart Family.